Hello! I’m Stephanie Cho and I’m a scientist, an actress and a hand model. I studied molecular biology and biochemistry at Simon Fraser University and I currently work as a Genome Sciences Technologist in Vancouver. I specialize in epigenomics, ChIP-seq and plate based library construction. For more info on what I do in the lab and for my published works click here. Over the years, I’ve been fortunate enough to perform in numerous productions. I’m grateful to be surrounded by so many supportive and positive people in my life and without them I wouldn’t be able to pursue this crazy career we call acting. Without the loving support from my parents, coworkers, family and friends I probably would have lost my sanity. They’ve kept me grounded while I’m on this roller coaster journey. Acting and performing actually came first for me and it has continued to be an important part of my life. I was cast in my first commercial (for Playdoh, click here to watch it) when I was six and when I was in elementary and high school, I performed in the theatre as well as in the band and the string orchestra. When I attended University, I stopped most of my creative pursuits to focus on pursuing my Bachelor of Science and only started to really get back into acting again after I’d spent a few years working at my current job as a Genome Sciences Technologist. Every year I’d go back and watch the plays at my old high school and I would leave itching to be back on stage. I finally made the leap, signed up for acting classes and haven’t looked back! Getting back into acting has also brought music back into my life. Last year, I was taught to play the guitar so I could perform with it in a film and I was also asked to play the ukulele and the tenor saxophone in a commercial! Throughout the years, I’ve been fortunate to have the opportunity to learn how to play several different instruments (piano, violin, tenor saxophone, flute, ukulele and most recently guitar). I also sing in a women’s choir called The Real Treblemakers. All hands on deck! Keeping creative. For years, people have told me I have nice hands but I never dreamed that I would start hand modeling! This past year I’ve been able to work on a lot of fun projects. I’ve hand modeled for Chiquita Bananas, Delta Faucets and Phonak Hearing Aids to name a few. I also enjoy staying creative in other facets of my life and in my spare time I paint nail art and dabble in website design. I designed this website as well as the websites for my Lions Club, the Vancouver Templeton New Century Lions Club and for my brother Chris aka LifeIsCho. He’s a talented photographer and has a Youtube channel under the same name. Check it out here! Giving back is a large part of what grounds me and it has been a constant in my life. I’ve been a member of the Vancouver Templeton New Century Lions Club for over 10 years now and I am a proud past president of the club. 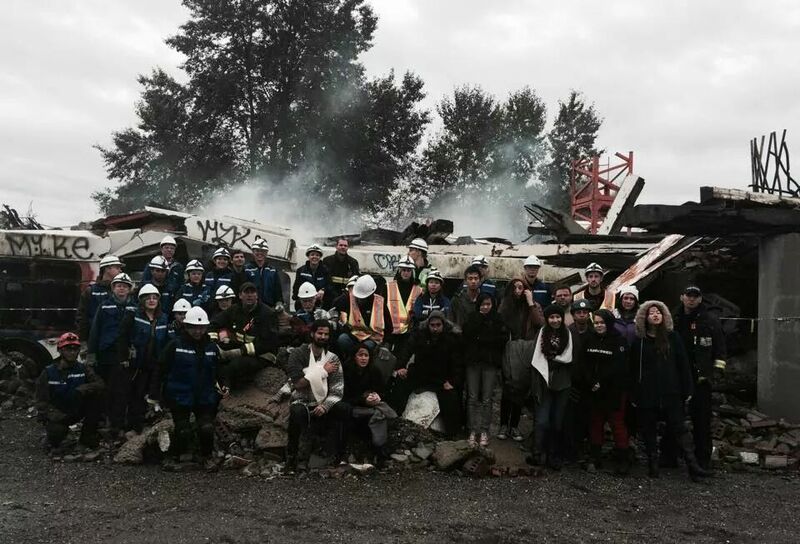 I also volunteer my time with the Vancouver Asian Film Festival, the Vancouver Fire and Rescue Services N.E.A.T. program as a disaster victim and I am one of the first aid attendants in the lab. I love meeting new people and hearing their stories. Storytelling is one of the reasons I love acting. I get to explore what it’s like to live in someone else’s shoes and to be a part of something bigger than myself. It’s been a challenging road but it’s helped me grow as a person. I’m happiest when I’m creating art and when I’m continuing to learn new things. I’m constantly working on new projects but I wouldn’t have it any other way.